Antibiotic-resistant bacteria, or “superbugs,” are one of the biggest challenges of the medical community. They are popping up at faster rates as antibiotic use increases, causing serious alarm among professionals familiar with their power. 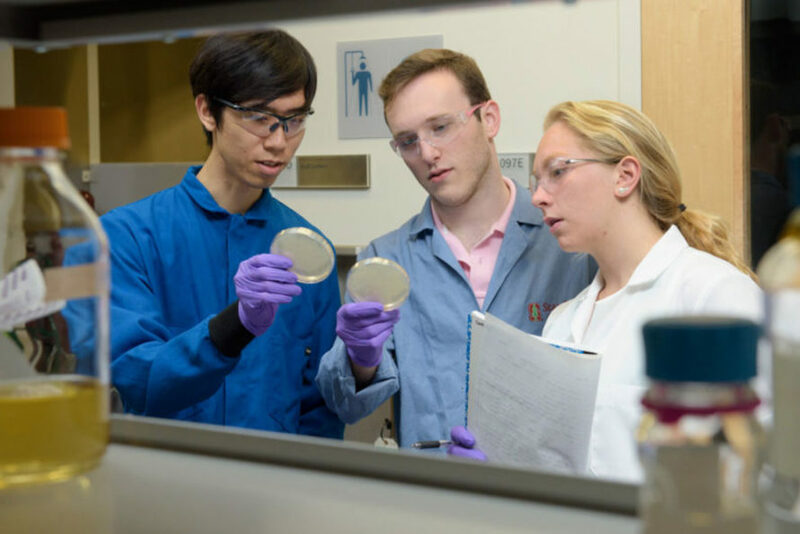 A few undergraduate students from Stanford University believe they may be on to a revolutionary idea that could kill off some of the most dangerous superbugs out there. Last fall, students Zach Rosenthal, Christian Choe and Maria Filsinger Interrante entered a Stanford University competition to provide solutions for major healthcare problems. Their idea of developing a set of proteins to annihilate antibiotic-resistant bacteria won them a $10,000 grant to test their hypotheses. “As soon as I started to read literature about multidrug-resistant bacteria, I decided it was a huge need area and interestingly neglected by the pharmaceutical industry,” said now-graduated Filsinger Interrante. She says that a smaller market size, lower profitability, and seeming inevitability of drug resistance lowers manufacturers’ enthusiasm about producing new antibiotics. The specifics of their project are being kept secret, yet Rosenthal explains the mechanism of their attack, “We target something that’s essential to bacterial survival.” Preliminary reports of their tests are successful and the team hopes to continue working toward finding the Achilles heel for Pseudomonas aeruginosa and Acinetobacter baumannii, two of the most drug-resistant and fatal superbugs existing today. Antibiotic-resistant bacteria may have finally met their match against a team of Stanford University students. A set of proteins is being developed to destroy the most fatal and drug-resistant bacteria out there.